Pizza. Just the word stirs cravings. What could be better? 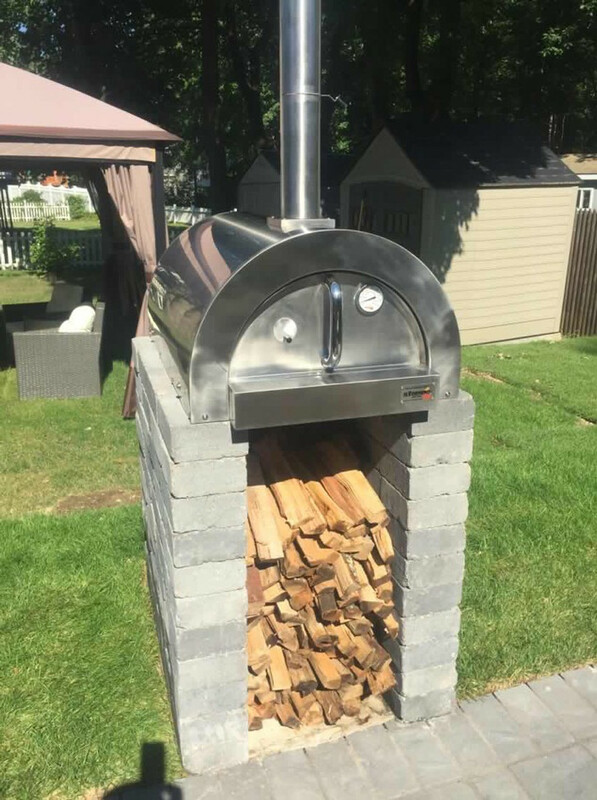 Oh, of course, a pizza prepared in a wood fired pizza oven. Now you’re really salivating, right? The One-Flat-Cooking-Surface™ is offered in many ilFornino ovens such as the Professional Series, Professional Plus and soon will be offered in the Elite Plus Series. The flooring is made from a large slab of proprietary refractory material that is guaranteed to hold and distribute heat throughout the oven even after the fire has been extinguished. That means pizza crust remains soft and chewy with toppings crispier than when cooked in a traditional oven. Crispier and packed with nutrition that is normally baked out of vegetable toppings when made the traditional way. And let’s not forget about the cheese! The cheese practically oozes out a smoky essence that has you coming back for more. Smoky cheese, puffy crust, crispy toppings, and a drizzling of olive oil applied to the hot pizza after it’s removed from the wood fired pizza oven… now that’s pizza! And if it’s savory bread or fresh-from-the-oven bagels you’re craving, the One-Flat-Cooking-Surface™ exceeds expectations.